I am very pleased to tell you that we’re going to organise a wedding on a beach at Saint Tropez on September . So to give you a first idea of this beautiful event, here are some pictures of the beach itself. I really think this beach is perfect for weddings. First of all, the beach is well located, not too closed to houses and that’s perfect if you want to dance until 5 a.m. Secondly, this beach is quite big and you can easiliy create different decorations for the ceremony, the aperitive and the dinner. For this wedding on a beach at Saint Tropez, we’ll begin with a ceremony on the beach and then a long and tasteful aperitive on the beach. The guests will really have time to enjoy the beach. We’ll add furniture to create a nice and confortable lounge area. Then the restaurant is covered with a transparent roof which is perfect in case of bad weather. Above all, there are other covered areas for the aperitive and the ceremony. There is no need to rent a marquee for plan B. This is reassuring and enable the bridal couple to keep money on their budget for other ideas. There is also on this beach a very nice bar around the one, you can organise the dancing party. I am really happy to organise this wedding and I am sure you’ll love the pictures beacause the decoration has to be magical ! The only thing you’ve to bear in mind if you wish to organise a wedding on a beach at Saint Tropez is that August and July are really touristic periods and it can be complicated to have the whole beach for you before 8 p.m. On september and especially during weekdays, it’s much easier. So do not hesitate to contact us to have more informations about a wedding on a beach Saint Tropez. Please can you advise me of costs for a beach wedding in Saint Tropez for around 40 guests? 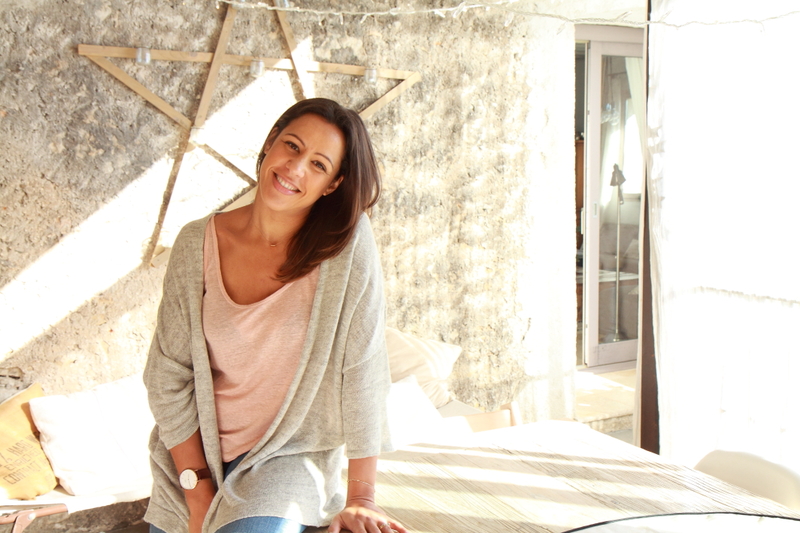 I would love the Port Grimaud area- Saint Tropez not 100 percent necessary. I would require first week of August 2012. Would like a blessing followed by ceremony and meal for 40 guests. I will answer to you soon. Many thanks for your message. June and September are much better that July and August for a beach wedding. I would be interested to receive more inforamtion. Hi there! Still waiting to here from Farida. We are planning for June 2012. thanks! Could you please send me more information and prices for different weekends and weekdays in june and september 2012. Please can you send me more information on a beach wedding in St. Tropez. We would like to get married beginning of June 2013 with approx 40+ guests. We ideally want a laid back intimate wedding where people can relax in an informal setting. We would like our reception looking on to the beach and if possible a bbq for our evening meal. I would be grateful if you could send me any further information. Can i get a price on a wedding for 50-70 people on the beach or near a beach. i am looking for a informal wedding with a intimate setting. Guest would be loking to stay for around 5 days. Please could you email me more information and prices for all the weekends in july, August and september 2013. Is that only for the ceremony ? Hi, I would love to know approximate prices for getting married on the Pearl beach in St Tropez in either June or September and also if the weather is still nice and hot to get married on the beach in these times? And as much information as possible as what is or isnt included or what could be added or included? For approx 40 guests. And the rules about getting married in your country from England? How long do we have to be in the country for? And also a quote converted in to £’s if possible? Is accomodation included or package deals? Sorry for all the questions! Please can you send me more information for a beach wedding in St. Tropez. We would like to get married in June or September 2013 with approx 50-60 guests. 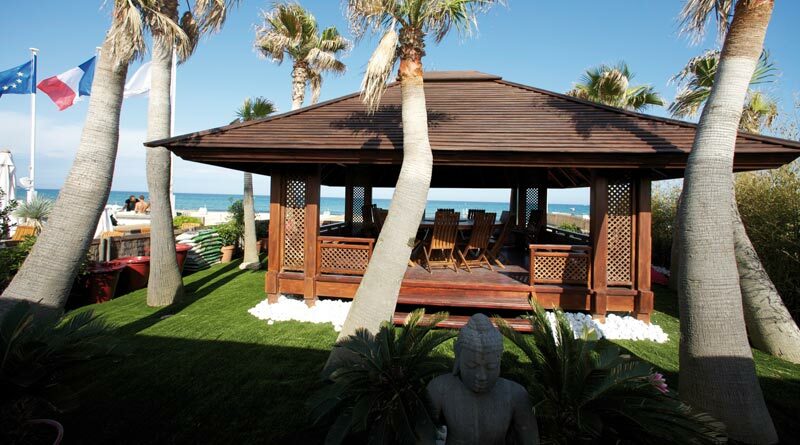 We would like our ceremony and reception on the beach and dinner in a hotel (where all guest also stay)! Helène, are you French ? We will speak about your wedding in English !! We are a couple who want a wedding on the beach in St. Tropez. We have engaged a minister to seaman. We have 6-7 guests with us on this trip. What is recommended? My fiancee and I are looking at having our wedding on a beach near St Tropez early April 2013. We know the beach we are interested in, which is a much smaller venue along Pamplonne beach. We are looking at 50-60 guests. Are you able to help with this, or do you only do your packages? Is it possible you can send me some details of pricing for a beach wedding in St. tropez? approx 20 guests. Do you want to do the ceremony on the beach too ? 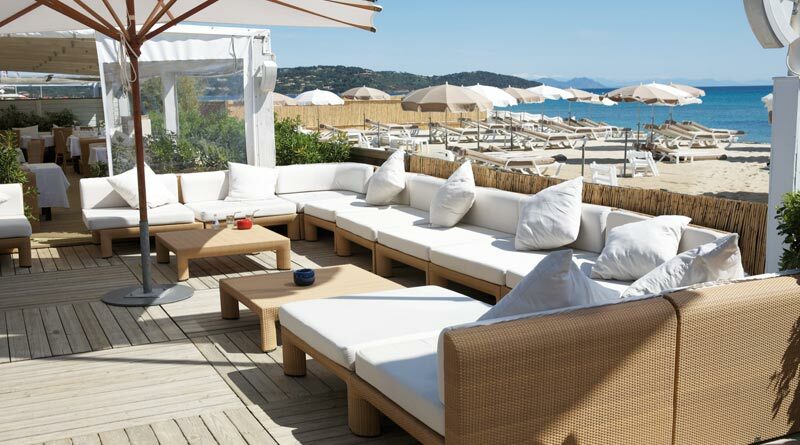 We are also interested in a St Tropez beach wedding – would you be able to send us more information and prices? We are looking for April-June 2014 or September/October 2014. Approx 80 guests. We would be very interested in doing our wedding on the beach in St Tropez. We are a wedding party of approx 60 people. We would have the blessing followed by a reception in the evening. Could you send me further details on beach weddings in St Tropez for 80-100 people including pricing for a September/October 2014 wedding? It would be for both the ceremony and reception. Any information you could send me would be much appreciated. Let me know if there is any further info you need from my end. It depends on the beach. 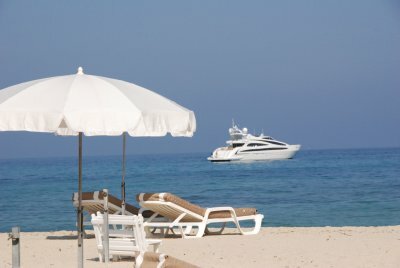 I am looking for a beach club wedding on Pampelone for 150 people next June/July or September. Could you please recommend a few to look at and approximate costs? I have a few in mind that I have seen and like the look of. Could you send me further details on beach weddings in St Tropez for 150-200 people including pricing for July/August 2015 wedding? It is both ceremony and reception. Please send me all the receptions places options. Any information and previews pictures you could send me would be much appreciated. Let me know if there is any further info you need from my me. Please could you send me further details and pricing on beach weddings in the St Tropez area for about 80-100 people for a September/October 2014 ceremony and reception. For Saint Tropez, you have found the right person ! Unfortunately, I am not able to organise for you a wedding in July / August this year on a beach in Saint Tropez. Indeed, I don’t plan weddings in Saint Tropez from mid July to mid August as it is a very touristic period and beach owners are not very flexible at that time. But if you’re considering the end of August, beginning of September, that should be easier. I am hoping to have a small, informal beach wedding in st tropez in June 2015, no particular date and we wouldn’t mind doing it on a weekday. There will be no more than 11 guests and we are in England so would need overnight accommodation. I would be greatful if you could give me a quote and some more information. What do you think of this beach ? We are looking to get married in St. Tropez August 1, 2014. It would be greatly appreciated if you contact me with information for about 20-40 people. Many thanks! We are looking at a wedding for the end of may/beginning of June (probably 30 may or 3 june) 2016 for 80 people. Please could you give us a idea of places and prices you could offer us? I am looking for a beach wedding in May/June 2016 for around 40 people can you please help? I am hoping to have a beach wedding in st tropez in June 2016, no particular date and we wouldn’t mind doing it on a weekday. Preferably pampelonne beach. There will be Approx 40-50 guests and we would need overnight accommodation recommendations. I would be greatful if you could give me a quote and some more information. I just wanted to ask about taxis. If a wedding ends at 3am on the beach, do you know of the best thing to do to bring our guests home? I wonder whether we book taxis easily or is it best to hire 2 drivers? Please can you advise me of costs for a beach wedding for around 50 adults 25 children? I would love the Port Grimaud area. Would like a blessing followed by ceremony and meal. I would like some information and cost for a beach wedding in June in saint tropez for about 50-60 guests.